← Is Dow Component GE the Victim of Wall Street’s Dark Conflicts? Investors have been whiplashed so far this week and it’s only Wednesday morning. On Monday, the Dow rocketed ahead by 399 points. On Tuesday, it plunged by 299 points. What changed investor sentiment so dramatically in 24 hours? 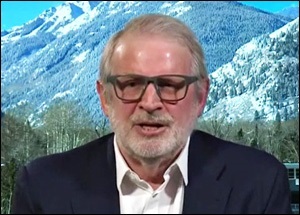 At the same time says Stockman, the Federal Reserve has pivoted to Quantitative Tightening (QT) “and they will be dumping $600 billion” of their bonds into the market at the same time as the government is pumping up debt issuance. (The Federal Reserve began trimming back its purchases of Treasury bonds in October of last year in order to normalize its bloated balance sheet that resulted from the financial crisis. That trimming, which is an effective tightening of monetary policy, will expand this year. Another big skunk explains Stockman is that there will not be the help coming from other central banks around the world as there has been in the past decade. They’re also in wind-down mode. “The robust job market should continue to support growth in household incomes and consumer spending, solid economic growth among our trading partners should lead to further gains in U.S. exports, and upbeat business sentiment and strong sales growth will likely continue to boost business investment. Moreover, fiscal policy is becoming more stimulative. In this environment, we anticipate that inflation on a 12-month basis will move up this year and stabilize around the FOMC’s 2 percent objective over the medium term. All of this happy chatter was anathema to the stock market which interpreted it to mean that the Fed will be moving ahead with rate hikes sooner rather than later. Higher rates on Treasury notes and bonds spell competition for the low dividend yield on quality stocks. The bottom line here is that the future of the stock market rests in the hands of the bond market.